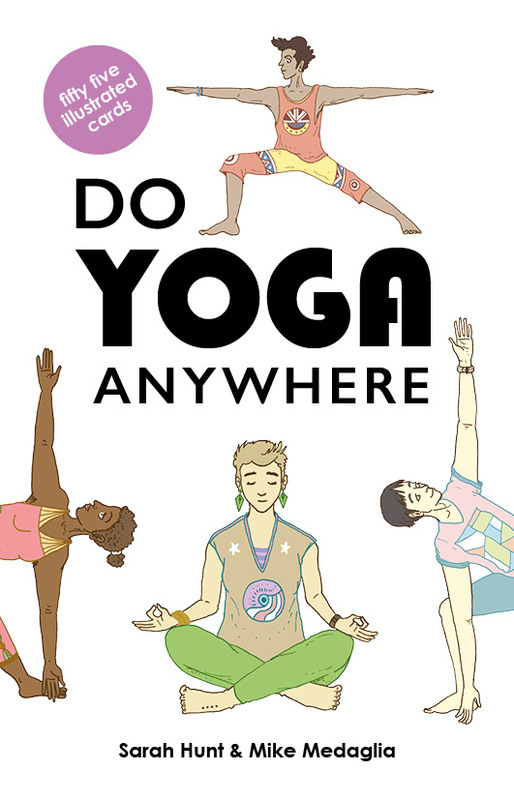 We are SO excited to be announcing Sarah Hunt‘s Do Yoga Anywhere! With illustrations by Mike Medaglia, this card deck lets you build your own sequences wherever you are! It’s out on the 1st of May 2019 in our webshop and, thanks to our new distribution deals, will be MUCH more widely available in bookshops and online! Keep an eye out on our Instagram, Twitter and Facebook every Friday, where we’ll be revealing the card designs! 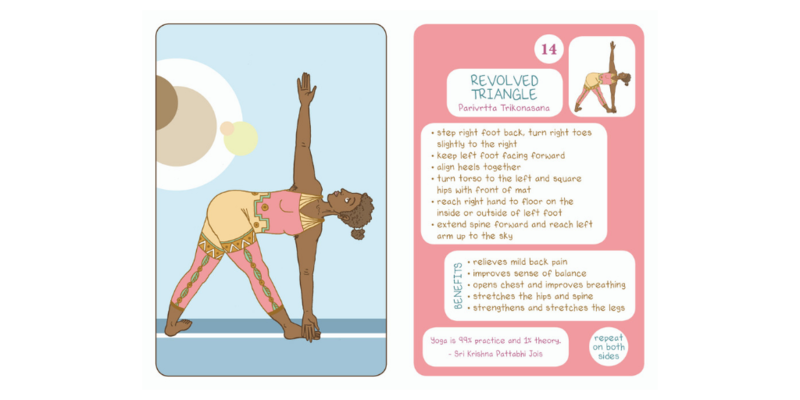 Build your own yoga sequences wherever you are with these lovely, illustrated yoga cards – created by the founder of Disco Yoga®! 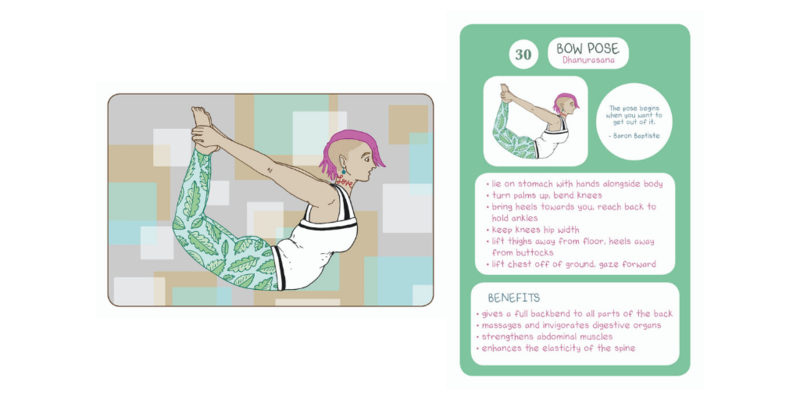 Do Yoga Anywhere is a unique new deck of cards, each featuring a different yoga pose, that give you the freedom to build your own yoga sequences on the go! 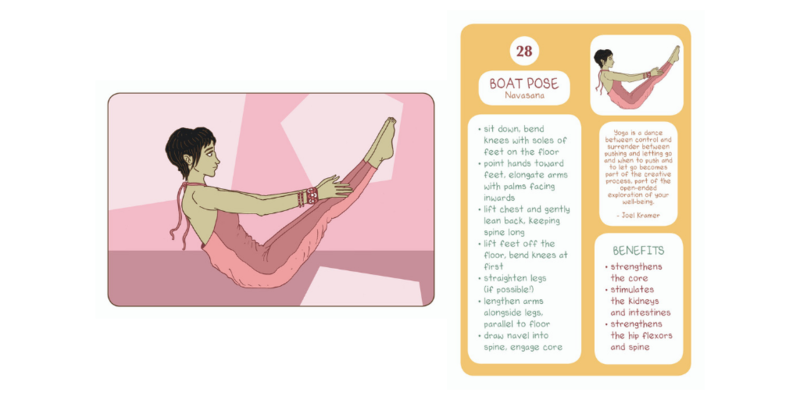 Illustrated by Mike Medaglia and with detailed explanations and introductions by Disco Yoga®’s Sarah Hunt, this yoga deck is for seasoned yogis and newbies alike! We’ll be revealing new images every Friday in our new #flexiblefriday series! Keep an eye out on our Instagram, Twitter and Facebook! Sarah Hunt is co-founder of Disco Yoga®, a glitter-infused, uplifting, fun yoga class for ‘mindful drinkers’ who like to get their groove on while they stretch. Disco Yoga® has been to Latitude Festival and featured in Om Yoga, Women’s Health, TimeOut, Londonist, The Telegraph, The Evening Standard, Grazia and Glamour. She began her journey with yoga in 2007 in Vancouver and immediately began to realise all of the benefits. She attended many teaching workshops throughout this time and became a certified yoga instructor in 2009. Sarah joined the Canadian School of Natural Nutrition the year after and became a Registered Holistic Nutritionist in 2010. She moved to London in 2011 and loves working with people in this area of the world. Sarah loves the simplicity of real food and gentle yoga, which together combine to form a holistic and healthy way of living. She enjoys sharing the benefits of these practices with others. 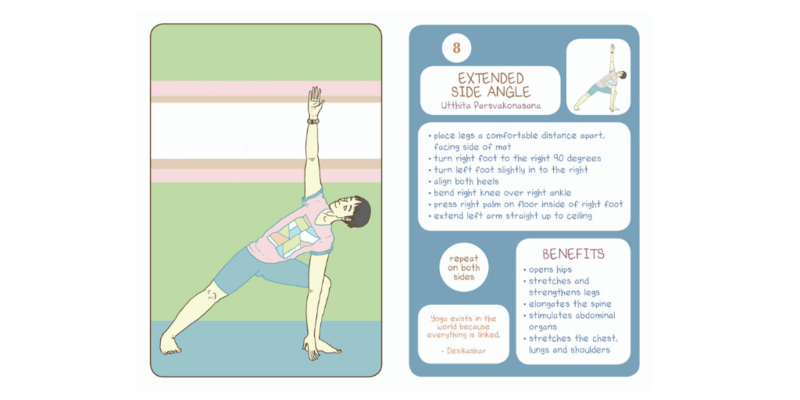 Sarah’s yoga classes are designed to work on a physical, emotional and spiritual level. While they are strengthening, cleansing and detoxifying, they also address issues of stress reduction, clarity and focus, patience, body awareness and personal challenges. 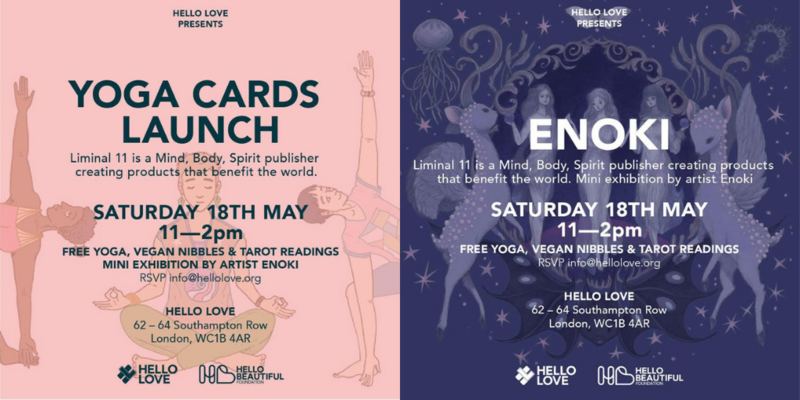 Mike Medaglia is the co-founder of Liminal 11 and creator of The Luna Sol Tarot. He is also author of the best-selling One Year Wiser series (SelfMadeHero), including a book of truly beautiful illustrated meditations, a colouring book, a gratitude journal and an illustrated guide to mindfulness. Mike has drawn and written for the Huffington Post on topics like gratitude, mindfulness, Zen and modern life. He was previously art editor at Jessica Kingsley Publishers working on a range of comics and graphic novels about topics like chronic pain, dementia, Asperger Syndrome, PTSD and anxiety.